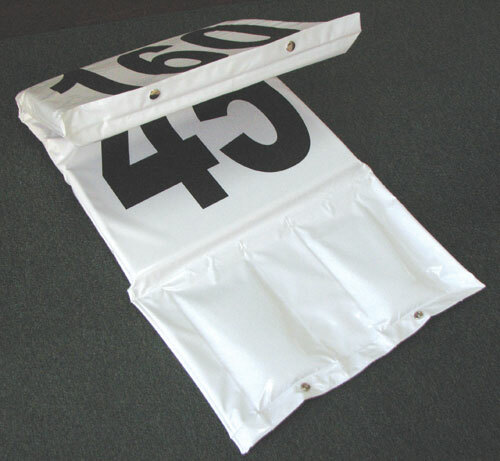 One set of #'s on the inside & one set on outside of marker. 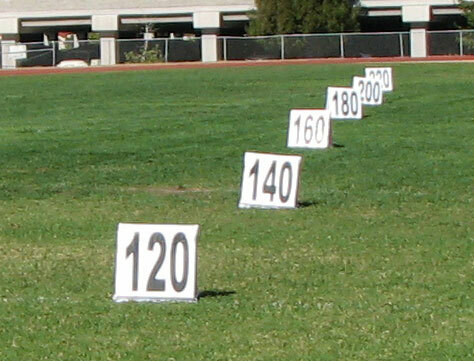 Flip markers over to show; 100', 120', 140', 160', 180', 200' & 220' on both sides. Will not harm implements if hit!